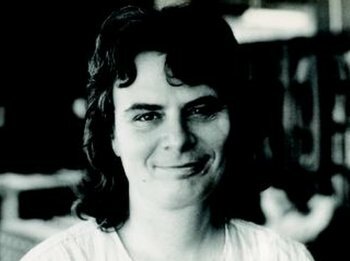 Karen Uhlenbeck has just received the Abel Prize. Many say that the Fields Medal is the analog of the Nobel Prize for mathematics, but others say that the Abel Prize is a better analog. The Abel prize is a recognition of achievement over a career whereas the Fields Medal is only awarded for work done before age 40. I had a course from Karen Uhlenbeck in graduate school. She was obviously brilliant, but what I remember most from the class was her candor about things she didn’t understand. She was already famous at the time, having won a MacArthur genius award and other honors, so she didn’t have to prove herself. When she presented the definition of a manifold, she made an offhand comment that it took her a month to really understand that definition when she was a student. She obviously understands manifolds now, having spent her career working with them. I found her comment about extremely encouraging. It shows it’s possible to become an expert in something you don’t immediately grasp, even if it takes you weeks to grok the most fundamental concept in an area. Uhlenbeck wasn’t just candid about things she found difficult in the past. She was also candid about things she found difficult at the time. She would grumble in the middle of a lecture things like “I can never remember this.” She was not a polished lecturer—far from it—but she was inspiring. ← When and how do politically extreme candidates get punished at the polls?